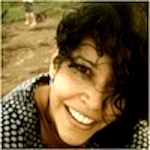 Venezuelan mum who has drifted to the Marshall Islands, Australia and now Palau... and loves it!. Check out my Palau Diaries website. Palau is a small group of islands located roughly at the South-East of the Philippines I had never heard of before. But when I came here for my honeymoon seven years ago, I fell madly in love with it, with its intense green set out against the intense blue of both sea and sky. I decided very quickly that this is where I wanted to live, and this has been my home for a while now. My first experience here was amongst the many beauties of The Rock Islands, with its pristine waters full of life in every single corner, and its unique mushroom shaped islands. The view of thick green vegetation growing on limestone in the middle of the sea still strikes me although I see it every day. The Jellyfish Lake, with thousands of sting-less jellies floating all over your body, is one of the many wonders in this area. Not to mention the white therapeutic sand of The Milky Way and many world-renowned diving spots, like The German Channel and Blue Corner, where you can see countless mantas and sharks up close. There are all sort of things to do in the water: diving, snorkeling, kayaking, fishing, surfing, swimming with dolphins –and it all can be adjusted to every level of fitness and budget. You can go big and splurge on a ten-day luxurious kayak and camping safari from Koror down to Peleliu, or you can just rent one for the day and still experience the rich marine life Palau has to offer. If you prefer to relax, there are many hotels where you can enjoy great food, drinks, fun nights, local performances, a bit of pampering at the spa, a bit of shopping if you like. You can have a look at the museums or visit old ruins and memorials from WWII all over the island but mostly in Peleliu. You can book a live-aboard. If adventure is your thing, then you can go for a jungle drive to Babeldaob, go for a hike and enjoy the rich life nurtured by the waterfalls –watch out, you might see a crocodile! Helicopter rides are available if you want an aerial view or if you want to spot dugongs, otherwise rarely seen around. Living in Palau is really great fun and definitely an alternative lifestyle, better suited to those who love the ocean and are not afraid to leave the comforts and attractions of the city to come across a very different culture –life here is quite simple and rather slow, so it is ideal is you are seeking to relax and get away from the stress of the big world. All sorts of people come here to stay: single people, couples, families, retired people, sailing boat owners who travel the world. Some arrive with a job, some for a sabbatical year, some looking for opportunities –and there are plenty if you have the right idea, the investment and more than that, the perseverance. Palau is a very protective society that thinks of its citizens before its visitors and Palauans are very proud of their culture and resources –which in my eyes contributes to the charm of the place. Having lived in the Pacific before, I feel that Palau is quite progressive and they are outstanding when it comes to the protection of their waters –this is the first declared Shark Sanctuary of the world. The government is now considering, in the long term, banning commercial fishing, and this is another world first. As for everyday life here, I can say that Koror is a very cosmopolitan town. There are many Asians, Europeans, Americans and other world citizens both visiting and staying for work. Shopping is not really big, so if you require special goods, you might have to buy them overseas. Housing and living expenses are quite cheap although wages tend to be low as well. Education is fine, and those aspiring to a university degree tend to complete their studies in the US. You can bring your whole house contents if you are committed to stay and bringing pets is also possible, depending on the country of origin. The community is small and tight: everyone knows everyone. I personally enjoy it, I find it great to go wherever and always say hi to someone. Social life is the main source of entertainment: curiously enough there are not a whole lot of places for nightlife, but social engagements are always on. There’s always a welcome or farewell or birthday party somewhere. It may take some time to adapt if you come from a big place, but believe me, once you experience the warmth of it you may never want to leave! I sure would like to ask you a million questions on living there. peters1931@hotmail.com I am a retiree living in the Philippines and have been here now for about 7 yrs and am looking to move away from the Philippines. Please contact me with any info you have that may concern a USA citizen with a family that would like to have a cultural year long visit. Thank you. I am a US citizen and would also like any information you have about moving to Palau either for a year, or longer. Any information would be greatly appreciated! Thanks! 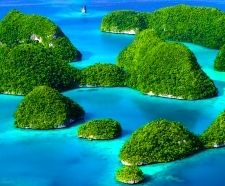 I am from Nepal and expecting that I could get job in Palau and settle down there. I would like to ask you a few questions, would you, please, contact me via my mail: abramovskaya.tatiana@gmail.com ? I am considering bringing my two teenaged children to Pulau during a sabbatical. Are there safety issues you recommend I consider? I am a US citizen and would also like any information you have about moving to Palau for over a year or longer. Thank you! Is it possible to get many fresh fruits and vegetables in Palau and are they very expensive? Thanks. I want to retire in Palau. Any idea where I start getting info? I will have about $2300 a month income and a small nest egg. I’m 60 now and want to retire in four years. Thanks for any help. I’ve visited Palau in 2016 and it is def. a great place to retire. I plan to go back in a couple of years. Koror ist very small so that you know the people after a little while. http://palauvisitors.com/ provides an overview of restauranats, shops etc in Palau. My 24 yr old American daughter and her husband from Pohnpei and their 3 yr old son are looking to move to Palau to live . She tried to relocate her life in Pohnpei but they could not find employment. How hard would jobs & living accommodations be there? Any information would be greatly appreciated .